Why are tax breaks so complex? Jon Davies Accountants > Accounting > Why are tax breaks so complex? You or your business could be entitled to tax breaks, which are also known as tax reliefs, and you can use them to reduce your tax bills. If you are unsure whether you are eligible and require some help, then you should ask your accountant as they will be able to identify the tax reliefs that are available to you. Taxes were introduced as specific and temporary in Britain from as early as 1666 and have been used to pay for the rebuilding of London and to help provide funding for wars. But as you are aware, they have continued to stick around and have been a fact of life ever since. The introduction of tax breaks was introduced as more taxes were being brought to legislation. How much do tax reliefs cost government? Are tax reliefs permanent or can they be reduced? 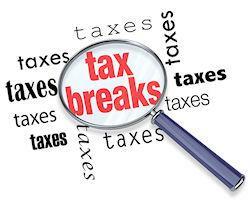 If you rely on tax breaks, and you are worried about them being reduced then you should not worry as the chances of this happening are very slim. Tax reliefs were introduced for a reason and are in line with priorities that are set out, so to take them away, will cause great problems for those who rely on them. You should be aware that the only potential change is that there may be a reduced amount of scope for certain tax reliefs. But you should be aware that the treasure does seeks to find more funding without increasing taxes. In Budget 2018 the final period exemption, which excuses people from capital gains tax was reduced from 18 months to 9 to minimise the scope for tax savings. Therefore, you need to make sure you are aware of the reliefs you are entitled to and eligible to claim for. It may be necessary to ask your accountant for advice as the system is becoming more complexed. If you require any help or guidance then please just get in contact with us, and we will be happy to help you determine what tax breaks you are eligible for? f you found this useful, please share it using the icons at the side of the page or leave a comment below.